Free Disney Downloads from The Mouse for Less ! Part of the fun of The Mouse For Less community is sharing the great resources that we’ve found or created to help plan our Disney trips like these free Disney downloads. 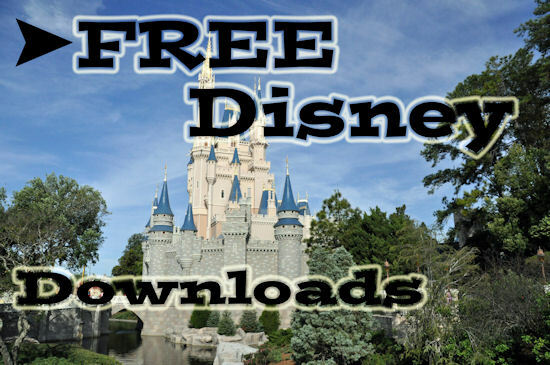 There are free Disney downloads for kids and adults. Downloads for trip planning for super planners or the laid back planner. Some of these downloads are just for fun and can be used even when you don’t have a trip planned, you can add a little Disney magic to your day or any road trip. Some can be saved as memoirs from your trips, or to help with the journaling for those scrapbookers out there. Some of these downloads are just for fun and can be used even when you don’t have a trip planned, you can add a little Disney magic to your day or any road trip. If you do create anything, please consider sharing it with our community on our Mouse for Less Facebook Page.